Explore the world through our bookshelf. for the stuff you HAVE to teach. We do the work so you don’t have to! All of our lessons are aligned with content, geography and technology standards. We have you covered no matter what age or subject you teach. 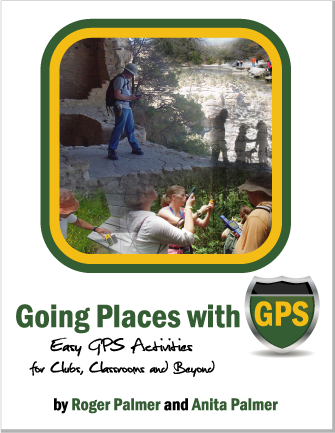 Even if you work with afterschool, scouting or homeschool groups, you’ll find our lessons engaging. 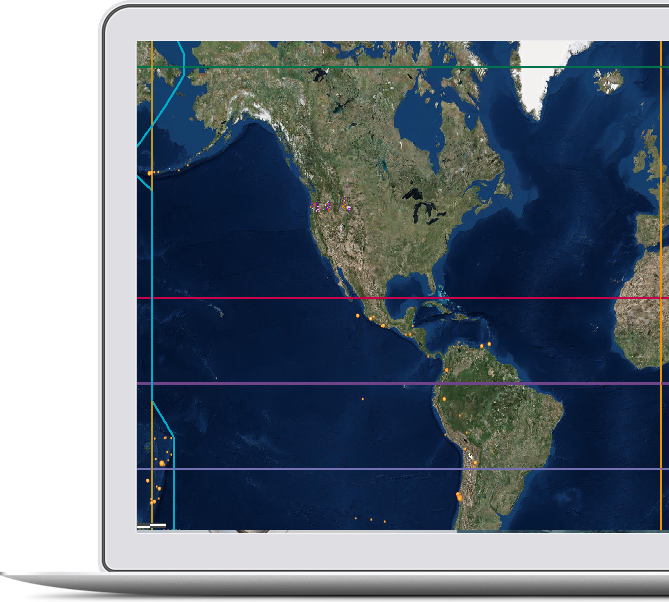 We are on top of ArcGIS Online changes. We updated our activities to always work! We create curriculum and resources with the student in mind. We believe learning should be fun and engaging. We understand. 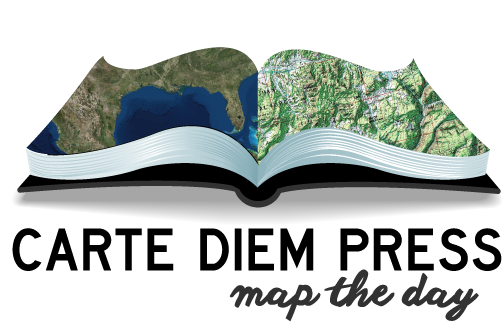 All of our books use free, simple-to-use, online mapping tools. 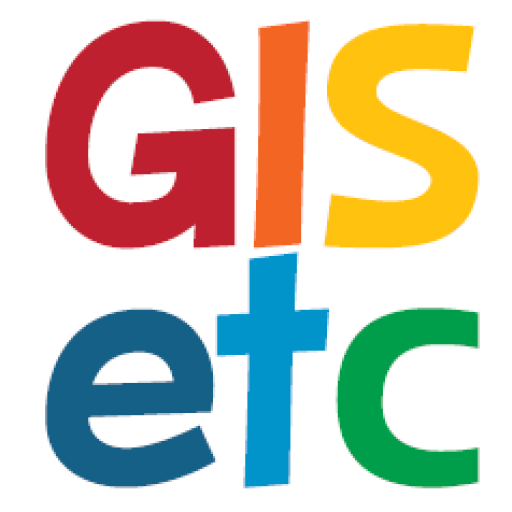 We support the ConnectEd Initiative and encourage schools to use ArcGIS Online. Dr. Baker joined the Esri Education Team in 2006 as an Education Manager in Industry Solutions and works from the Kansas City office. Tom leads initiatives in STEM (science, technology, engineering, & math) education, instructional design, and educational research. Tom is also a leader and ardent supporter GIS in informal and after-school settings and works to build a variety of educational partnerships. 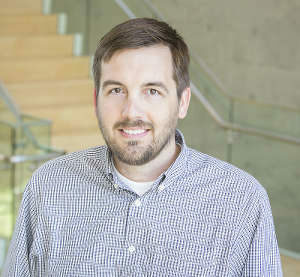 Prior to joining Esri, Tom spent the previous ten years at the University of Kansas where he held a many research, technical, and teaching roles. In his final position, he was an Assistant Research Professor in the Center for Research on Learning and Center for Science Education in the School of Education. 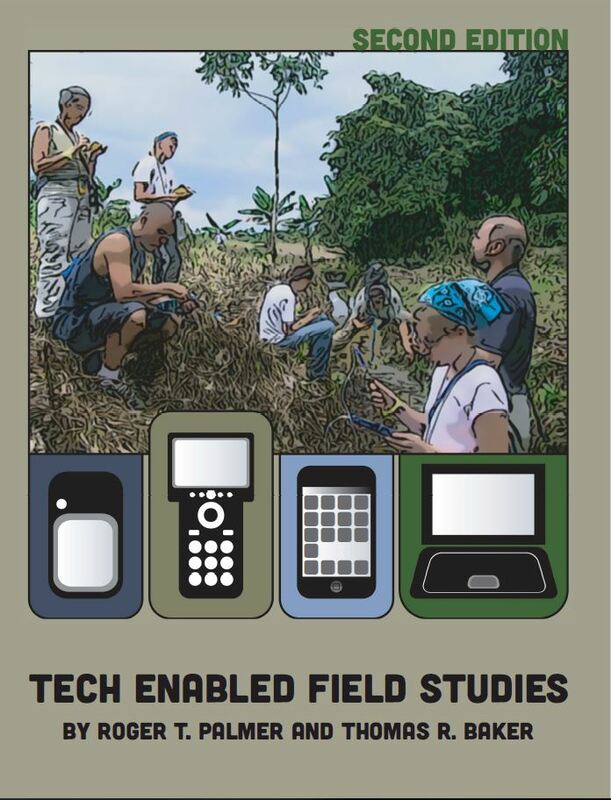 Tom was also the Project Coordinator and Co-PI for the NSF-funded “Extending Scientific Inquiry through Collaborative GIS” and Department of Education funded “KanCRN Collaborative Research Network” projects. He completed a Ph.D. in educational technology in 2002 with a dissertation directed at student attitude, self-efficacy, and outcomes when using a variety of technologies to complete a project-based learning (PBL) activity. 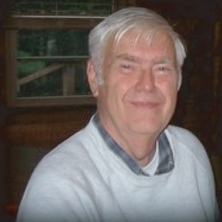 Tom remains active in the academic community, publishing and presenting frequently. He serves in leadership roles for committees, special interest groups, and advisory boards at the National Council for Geographic Education, the Society for Information Technology in Teacher Education, the Texas Computer Education Association, and a variety of NSF grants and non-profit organizations. 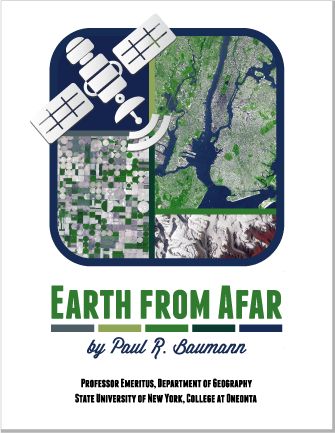 Paul R. Baumann is Professor Emeritus of Geography at the State University of New York at Oneonta. 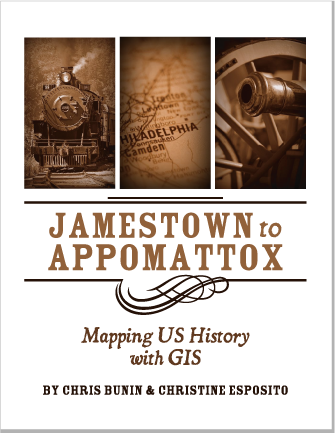 His previous books include The American Landscape from the Air: Studying U.S. Geography with Aerial Photography, and, as editor, Up Close From Afar: Using Remote Sensing to Teach the American Landscape. He was a National Science Foundation Fellow with NASA’s Earth Resources Laboratory and the recipient of the National Council for Geographic Education’s Distinguished Teacher – Higher Education Award. He has published numerous articles on remote sensing in such journals as Geocarto International, Journal of Geography, and Photogrammetric Engineering & Remote Sensing. Chris Bunin teaches Social Studies and Geospatial Technologies at Albemarle High School in Charlottesville, Virginia. He is also Assistant Professor of Geography at Piedmont Virginia Community College and the Geospatial Technologies chairperson for the Virginia Geographic Alliance. From 2006-2012 he worked as the Director of Teacher Scholar Programs for The Virginia Experiment and America on the World State Teaching American History Projects. As director, he coordinated and implemented inquiry-based experiential professional development opportunities for local history teachers. 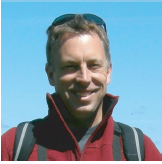 Chris’ research and instructional interests include historical geography, geospatial technologies in K-12 classrooms, and experiential education. He’s been honored by the National Council for Geographic Education twice, a recipient of the Distinguished Teaching Achievement Award (2006) and Geographic Excellence in Media (2015). He currently resides in Afton, Virginia with his wife, Elizabeth, and children. Vintage GIS…that’s Barbaree kickin’ it old school on GIS Day with a group of her 7th graders. Barbaree Ash Duke is veteran classroom teacher and an educational consultant with GISetc. She taught English Language Arts in grades 6-12 as well as a technology and GIS electives. 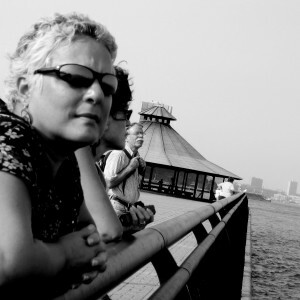 Barbaree also serves as the Managing Editor and Executive Webinar Producer at Directions Magazine. Barbaree earned her Bachelor’s degree in Secondary Education with a concentration in English at Baylor University and taught for 15 years in Texas, Alabama and North Carolina. She’s been integrating GIS into her the classroom since 2000. Annually you can see her presenting at GIS, technology and education conferences, teaching professional development and writing curriculum for K-12 classrooms. 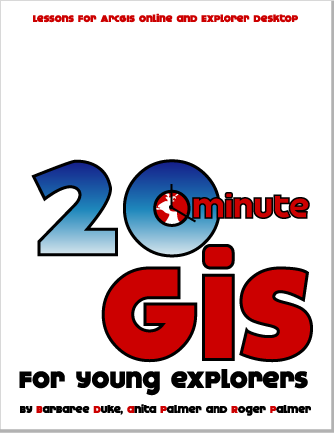 Along with numerous articles and lessons on integrating geospatial technologies into the classroom, she’s authored two books: 20 Minute GIS for Young Explorers as well as a solo work, Reading, Writing and Thinking around the Globe:Geospatial Technologies for English Language Arts and Beyond. When she’s not webinaring, travelling, blogging or creating, you’ll find her tutoring students in reading and math most weekday afternoons from her home base in Covington, LA. She also has many free resources on her website, www.barbareeduke.com. Her hands-on, realistic approach to education gives teachers and students a comfortable place to learn while offering fresh, practical ideas to improve the classroom environment. 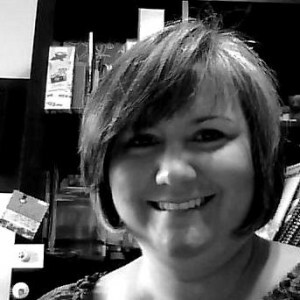 Christine Esposito is a gifted specialist at Walker Upper Elementary School in Charlottesville City Public Schools. During her 13 years at Walker, she has taught history and language arts to fifth and sixth graders. She participated in the Virginia Experiment and America on the World Stage Teaching American History Projects (2007-2011). Her projects included Mapping the Constitutional Convention, Using Primary Sources in the Classroom, and Comparing the English Civil Wars and the American Revolution. 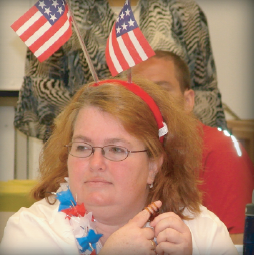 She won the 2009 Gilder-Lehrman History Teacher of the Year award for the State of Virginia. Her current interests include helping students to see US history within the context of world history, giving students autonomy in the classroom, medieval English history, and using Twitter (@EspoLearns) to learn from other educators. Originally from Long Island, New York, she currently resides in Charlottesville, VA.
Gary Lewis trained as a geologist and then became a teacher by trade. He has taught in the classroom and has a great understanding of what motivates students (and their teachers). 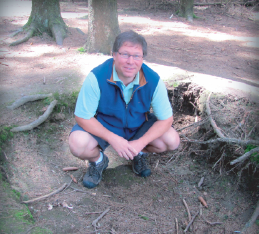 He is the author of over 30 Earth science related resources covering a plethora of topics from volcanoes to gold and has run hundreds of teacher professional development sessions in the USA and Australia. 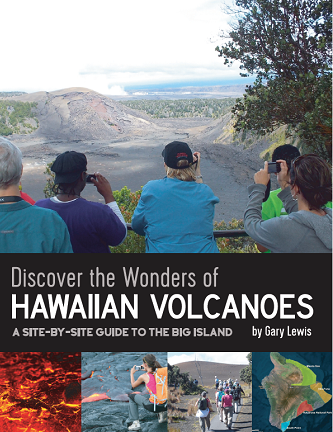 Gary also has been running field trips for teachers since 1985 to Iceland, Hawaii and his native Australia. 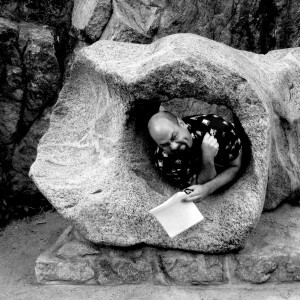 Gary has been involved in citizen science programs (EarthTrek, Gravestone Project) and created and developed the successful EarthCache program which is part of the international adventure game of EarthCaching. Gary has worked closely with the media and uses social media skills enhance programs across the globe. Gary has been the chair (6 years) and is currently a commissioner on the International Union of Geological Sciences Commission of Geoscience Education, Training and Technology Transfer. He is an active member of the International Geoscience Education Community (IGEO), including being a convener of its conference (GeoSciEd) in Sydney in 2000. Gary is an enthusiastic, resourceful project manager with many years of leading high performing teams and running projects with high impact. He resides in rural Maine with his wife and two younger children. 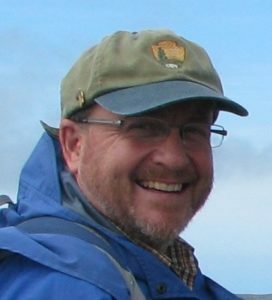 Dr. Jim MaKinster is a Professor of Science Education at Hobart and William Smith Colleges, where he teaches a variety of courses in science and environmental education and leads projects focused on environmental issues, scientific inquiry, and the use of geospatial technology. Together with Dr. Nancy Trautmann, they lead programs for middle and high school teachers. Paul is a teacher at heart and loves to be in the classroom and presents when he can. Paul first started teaching as the sixth teacher in a sixth grade classroom on the island of Guam. The first five teachers either moved into administration or moved on for various reasons. Paul has been working with students at all levels since that start on the beautiful island of Guam. 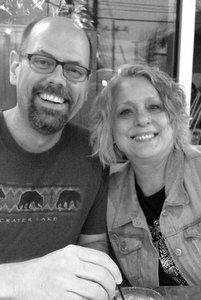 Moving to Texas, Paul was introduced to the Texas Council for the Social Studies, which he is still an active member and writes the technology column for the Social Studies Texan. Paul earned his doctorate in Geography Education from Texas State University – San Marcos and was hired to teach elementary social studies methods at a university in Louisiana. Working with pre-service teachers, Paul thought he was correctly implementing cooperative learning in his classroom. Paul soon learned that he was only doing ‘group work,’ and has since then attended twelve Kagan Cooperative Learning workshops and became a School Level Trainer for Kagan. Paul’s goal is to continue training pre-service and in-service teachers in Kagan Cooperative Learning Structures. 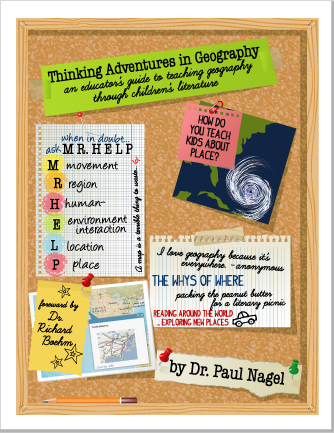 In 2009, the Texas Alliance for Geographic Education honored Paul with its Distinguished Service Award for his unwavering support of geography education across Texas and the United States. 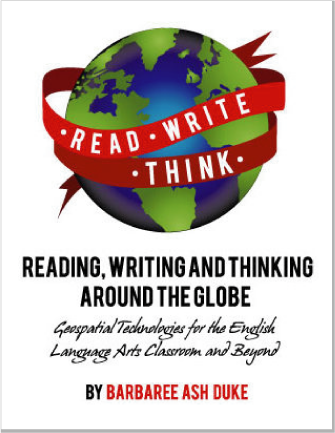 In 2011-2012 Paul worked closely with his friend Donna to incorporate critical thinking skills and geography in his daughter Addison’s classroom, where once a month Paul would come in a read a story and challenge the students to think. Paul and Donna ended the year with a memorable lesson about Ocean pollution, that they both hope to be printed. Paul was also honored in 2012 by the Louisiana Middle School Association for his efforts to improve middle school education in the state. 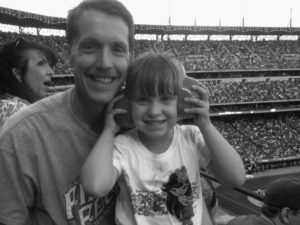 Paul currently lives in Wichita Falls, Texas where he lives with his wife and three beautiful girls, enjoying teaching – earning high praise from his students, working with pre- and in-service teachers and following the Chicago Cubs. Go Cubs Go! 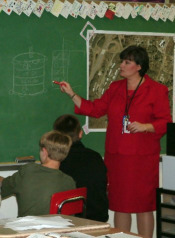 Anita Palmer taught middle and high school technology and social studies. 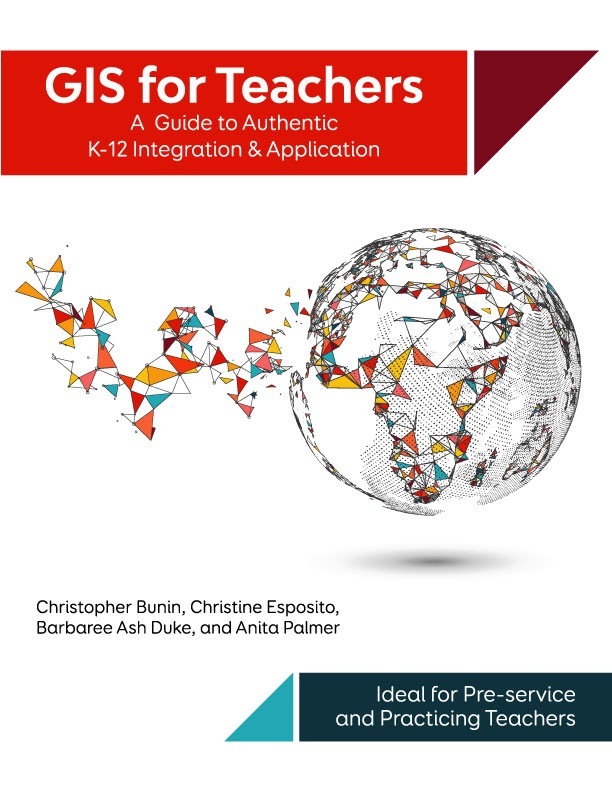 She has authored and taught over one hundred technology institutes and classes for K-12 teachers focusing on integration of GIS technologies throughout the curriculum both in the USA and in the international arena over the past ten years. Mrs. Palmer is co-author of the original “Mapping Our World: GIS Lessons for Educators”, the community-based” Community Geography: GIS in Action!” Teacher’s Guide, the newly released Our World “Mapping Our World” and “Analyzing Our World” as well as the first GPS activity book “Going Places with GPS.” Mrs. Palmer was a member of the development team for the NASA funded “Birdseye View” primary school curriculum and was one of three developers and teachers of the Eastern Michigan University GIS Masters Certificate program for educators. 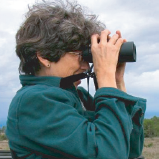 She is an active member of TAGE and GEM in Texas and a teacher consultant in the Geographic Alliance in Nevada and inducted into the GAIN Hall of Fame in 2004. Anita Palmer is recognized in the field for her work as a trainer for the Teachers Teaching Teachers (T3G) institute on the Esri campus since 2009 to current. Roger Palmer taught chemistry, physics, environmental and field science and is currently teaching and developing curriculum for the Texas Earth System Science course. He has been involved with NASA initiatives using remote sensed imagery to teach math, science, and geography to K-12 students. He holds an M.S. in Chemistry and conducts research projects in the use of GIS to model integrated approaches to environmental problems. He has conducted GIS institutes for teachers and GIS/science camps for students in the USA and in the international arena for over ten years. He is the co-author of “Mapping Our World” and “Analyzing Our World” and the GPS activity book “Going Places with GPS.” He was a member of the development team for NCGE’s “Birdseye View” primary school curriculum and helped develop and teach the Eastern Michigan University GIS Masters Certificate program for educators. He is an active member of the geographic alliance in Texas and North Dakota. 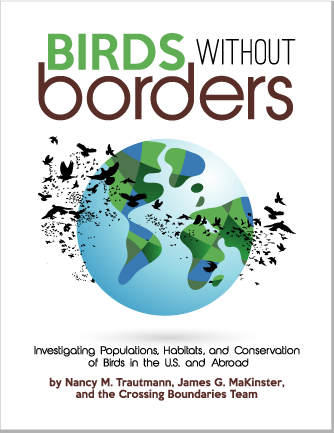 Dr. Nancy Trautmann is Director of Education at the Cornell Lab of Ornithology, where she leads a team that aims to inspire curiosity, learning, and action related to birds and the natural world. Together with Dr. Nancy Trautmann, they lead programs for middle and high school teachers.